According to the St. Louis County assessor’s office, the St. Louis Sports Center was solf for $1,000,000. Webster University and Niagara Worldwide, LLC have begun talks about a potential partnership. Niagara recently purchased the St. Louis Sports Center. The 93,960 spare-foot building, located just off Heege Road on Langley Avenue, once hosted practices for several Webster athletic teams including baseball, softball and both the men’s and women’s soccer teams. The Sports Center also hosted practices for local area baseball, basketball, volleyball and soccer teams, along with holding tournaments and special events. Since the Sports Center closed, the softball and baseball team must drive eight miles from campus to the Bud Dome sports complex for offseason workouts and practice. The St. Louis Sports Center is located three miles from campus. Webster sophomore baseball player Zach Allam practiced at the Sports Center last season and during the offseason. He said the Bud Dome is just as nice as the Sports Center, but the fact that it was closer was beneficial. “I like Bud Dome’s facility, but the inconvenient part is the distance from campus to there, especially when we have to go there two times a day for morning practices and afternoon practices. The good thing about the Sports Center was it was five minutes away,” Allam said. Junior Webster soccer player Brian Woodward was one of the student athletes who presented a power point to Provost Julian Schuster during student athletic meeting in November. At the meeting, student athletes presented concerns and suggestions to the administration. A concern of the student-athletes was the lack of space the athletic teams had to train and practice. In the presentation, one of the recommendations the student athletes made to Schuster was the Sports Center. “The Sports Center was forced to close its doors due to lack of business income. The building was foreclosed on and repossessed by the bank,” Woodward said. Niagara Worldwide bought the Sports Center building just a few weeks after the Sports Center closed. Niagara Worldwide is a property development company that specializes in trading, mining, consulting, construction services, demolition, and environmental remediation in the United States and internationally. Niagara Worldwide is based in Niagara, Wisconsin. The company has additional offices in St. Louis and Manalapan, New Jersey. 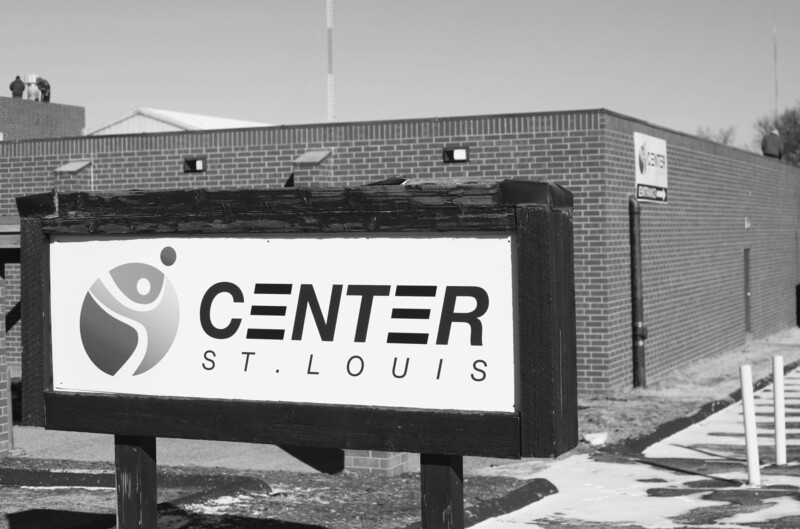 Since acquiring the property, the new owners have changed the name of the building to Center of St. Louis. Niagara representatives were unable to be reached for comment before press time. Sales and Venue Manager Chris Forrest said he could not comment on the discussion between Webster and Niagara. But said the center is going to continue with the same operations that the Sports Center conducted such as different sports tournaments, events, fitness training, and team practices. “We are doing a lot of the same things the old owners held here, but there are also steps we are taking to make the business better. We’re working on a new roof, expanding the parking lot, just cleaning up and making it nicer,” Forrest said. Woodward said a partnership could benefit both parties. “It could be a very good thing for both the new owners of Center St. Louis and Webster. If Webster could increase the business traffic and brand recognition by utilizing its property they would definitely benefit. Webster would benefit by having more space for athletic training and recreational use,” Woodward said. According to the St. Louis County assessor’s office, the St. Louis Sports Center was sold for a price of $1,000,000. Principia College, another member of SLIAC, built an indoor sports complex which is located on its campus that has similar features to the Center of St. Louis. The Crafton Athletic Center is a 100,000 square foot indoor sports complex located on the school’s campus. The Crafton Athletic Center features two basketball courts, two volleyball courts, a 200 meter track, multi-level state-of-the-art weight room, soccer goals for indoor training, an indoor baseball practice field and two drop down curtain batting cages. Michael Henry is a program manager for Webster’s campus activities. Henry helps the school’s intramurals set up. Right now the university only offers three intramurals in basketball, volleyball and bowling. Henry feels like a partnership with the Center could provide opportunies for the university. He feels another way the building would help the university would be expanding the student body’s interest in the university’s intramurals. “I think it would help get more games to go on with basketball intramurals and volleyball intramurals. It could get more people interested. It could even make a flag football tournament possible, too. Having more room would open up more options,” Henry said. Head Men’s Soccer Coach Mike Seiner felt like the Center of St. Louis would help accommodate the concerns the student athletes had with the lack of space. “It would help anytime you are able to add space, recreational space, athletic space — it would help the overall student body,” Siener said. Siener and the men’s soccer team practice and play its home games at St. Louis Soccer Park. Webster partnered with St. Louis Scott Gallagher (SLSG) to renovate the park with a $1.7 – $1.8 million in renovations. Renovations included two grass fields being replaced with artificial turf, the installation of a digital video scoreboard and the transformation of a warehouse into a training facility.